Speculation is mounting that President Trump is about to make another dramatic move regarding the probe of his campaign’s contacts with Russia. 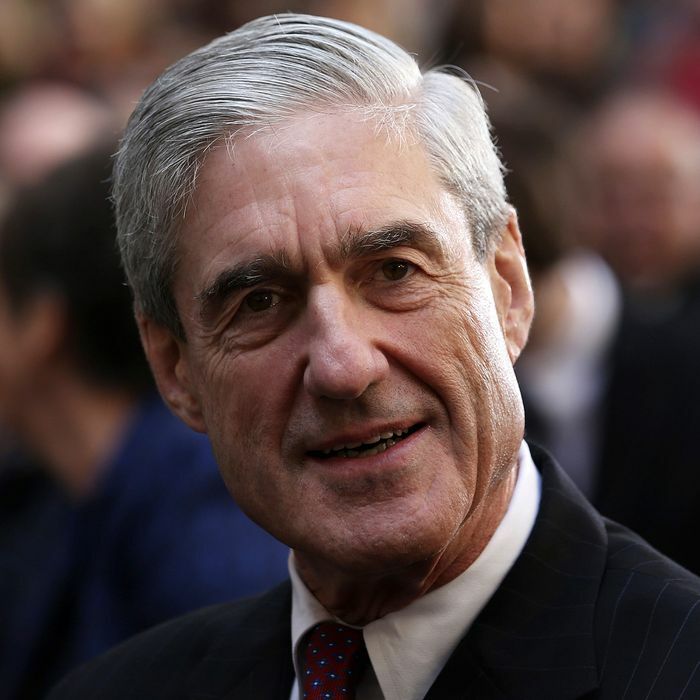 Last week Representative Jackie Speier even mentioned a specific date, saying she’d heard that “on December 22, when we are out of D.C., he was going to fire Robert Mueller.” On Sunday President Trump denied that he’s thinking of firing the special counsel, and some predict he may hold off until after the holidays, and perhaps even surprise everyone by firing Mueller’s boss, Deputy Attorney General Rod Rosenstein. But people familiar with the probe tell the Post that they expect the investigation to continue for at least another year. Mueller’s team is still requesting more campaign-related documents, and has secured the cooperation of former Trump campaign adviser George Papadopoulos, and apparently former national security adviser Michael Flynn. Meanwhile the slow trickle of tidbits on the Trump team’s relationship with Russia continues. On Monday NBC News reported that, as one might expect, the FBI warned both the Trump and Clinton campaigns that foreign adversaries, such as Russia, might be looking to infiltrate their operation. It seemed in recent days that Trump’s lawyers were ramping up for an attack on Mueller when they accused his team of unlawfully obtaining the emails of at least 12 top transition officials. A source tells the Post that at this week’s meeting they plan to ask Mueller’s team, “You’ve had all these witnesses, all these records. Is there anything else you need from the White House?” When they say they don’t know, it could spark new accusations that the Russia probe is a never-ending witch hunt.